Codan Radio releases it Stratus transportable P25/LTE solution, a quickly deployable system that leverages LTE and 3G connectivity to enable remote interoperability with P25 communication, even when responding to an incident outside an agency’s home P25 network. Codan Radio recently showcased its new Stratus transportable P25/LTE solution, a quickly deployable system that leverages LTE and 3G connectivity to enable remote interoperability with P25 communication, even when responding to an incident outside an agency’s home P25 network. With the Stratus solution, agencies using P25 technology outside their P25 network’s coverage area are not limited simply to peer-to-peer communications at the scene, according to Ben Pearce, Codan Radio's regional sales director for North America. Instead, the Stratus repeater uses cellular technology to backhaul the P25 traffic to other locations—notably agency headquarters—that have connectivity to cellular/IP networks, he said. 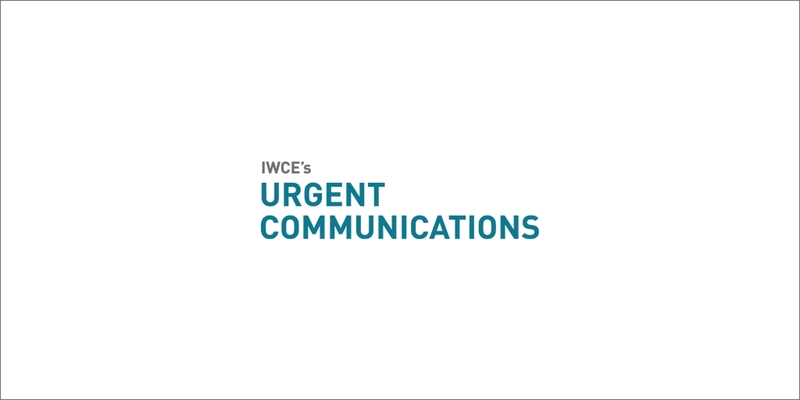 “We decided to bridge the gap between the two and give people the best of both worlds,” Pearce said during an interview with IWCE’s Urgent Communications. “In our opinion, it represents a big shift in the industry in the way that people can deploy their system. Released at IWCE 2015, the Stratus solution can leverage LTE or 3G coverage from all commercial wireless providers, can be deployed within minutes, and the repeater is housed in a Pelican case, so it can withstand rugged treatment (to see demonstrations of this characteristic, see this YouTube video from Codan Radio). This capability provides responding agencies with significantly greater flexibility when deploying their P25 gear, because it also lets them receive information from other connected resources—for instance, a relevant expert on a cellular phone—that can enhance situational awareness, according to information about the Stratus offering that is available on the company’s website. “Essentially, if you ever have a place where you need to deploy or have an operation where you need communications—whether it’s indoor or in an area where you don’t normally have comms—you can deploy a Stratus repeater,” Pearce said. Other features included in the Stratus are support for operation in all public-safety spectrum bands—VHF, UHF, and 700/800 MHz—and encryption to ensure secure communications, according to the company. Stratus also enables the ability to leverage all public cellular networks, with an option to also include FirstNet connectivity when it is available. For more information about the Stratus solution and how it could be used during an in-building hostage scenario, see this YouTube video from the company.